Love is in the air! Can’t you feel it? 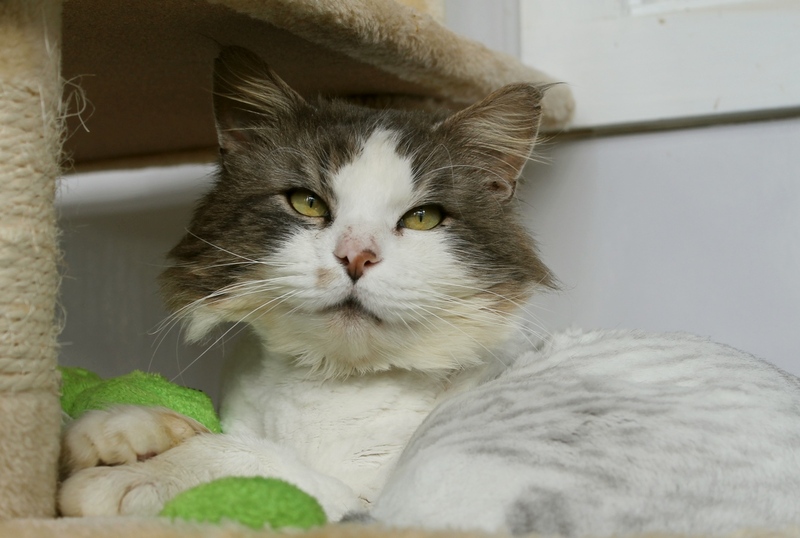 My name is Wheels and I’m a handsome 3-year-old bachelor on the hunt for my purr-fect match! You may notice I have a fancy haircut — called a “lion cut”. 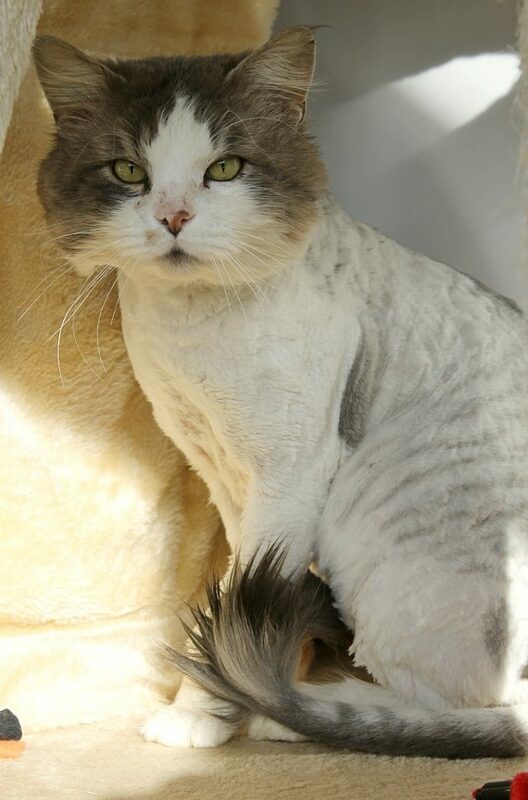 I regularly have a nice fluffy medium-hair coat, but since I was a stray kitty living outdoors for a few months before some nice people called Pixie and got me inside, I came in pretty matted and so had to get a good shave. Now that I’m all fixed up, I’m already showing the people here at the shelter my fabulous outgoing personality and I’m ready to find my new family! I’m a very confident cat both around people and other kitties. I really don’t mind other cats at all, but I don’t have good manners, meaning I like to go right up to them and don’t really understand when they ask me for personal space. I would do fine around another very cat-social kitty like me that can handle a big guy that plays rough. During my time here at Pixie, I have shown that I am really not a fan of dogs at all. Since I can play a little rough sometimes, I’m probably would not be a good fit for small children, however I am overall a very affectionate and friendly cat and really enjoy human company — and laps! I would most likely do fine in an indoor-only home but have experience living outside so will probably do best either in a large home with lots of places to explore or in an indoor-outdoor home. I’m really just a great guy with striking features and I’m ready to meet you! Stop by Pixie to say hello today! I come to you fixed, vaccinated, micro-chipped (and freshly shaved!) for an adoption fee of $100.